It's only been three weeks since Bethesda launched a proper iPad release of The Elder Scrolls: Legends, but that's been plenty of time for players to hungrily devour the game's campaign mode. Fortunately, once the game's main story is complete, players can now look forward to the all-new story expansion titled The Fall of the Dark Brotherhood. The new content sees heroes infiltrating the Elder Scroll series' infamous Dark Brotherhood guild in a story that's linked directly to Cicero, the mad jester players will no doubt remember from Skyrim. Each of the expansion's 25 missions are set across three distinct maps, and players will earn playsets of 40 new cards throughout the tale. 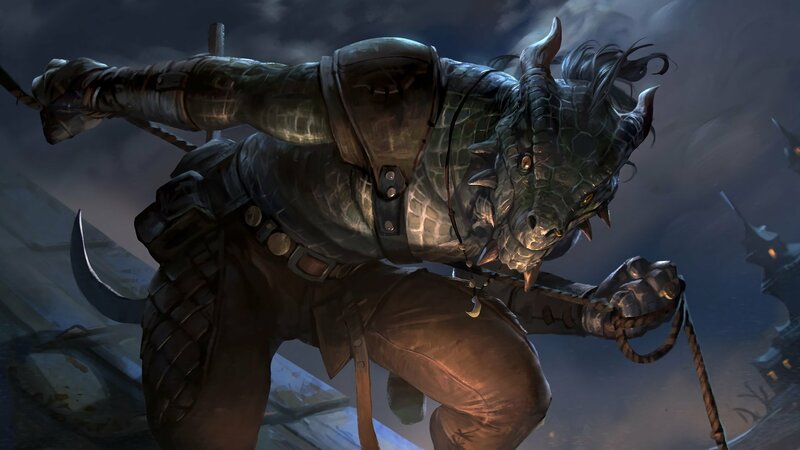 Cards are at the heart of Elder Scrolls: Legends, and as such, the new cards are one of the biggest draws to the expansion. Bethesda has stated that all of the new cards are spread across all five attributes, but some of the essential Dark Brotherhood cards will understandably be classed in Endurance and Agility. Several of the new additions make use of items as well as Lethal, while new cards like Grand Ball allow for movement of all cards across the board. Players interested in checking out the new expansion can pick up all three maps for $19.99, a price that also includes the Speaker title as well as a premium version of the Night Mother card. On the flip side, players who would prefer to use in-game currency can drop 1,000 gold on each new map. Doing so won't get the bonuses, but it will net players all of the new cards. Gamers who might not be familiar with Bethesda's collectible card game can check out our review of The Elder Scrolls: Legends. The game is also featured in our list of the Best Free To Play Games.